Mark just might become the most loyal companion for many people working in industrial companies. Why? Because Mark is the first intelligent glove to have hit the market for Industry 4.0. For us, that is reason enough to meet up and talk with the brains behind Mark, namely the founders of ProGlove. Times are exciting for ProGlove: They recently moved into their new office space near the Ostbahnhof train station, the team is constantly growing and becoming more international, and – last but certainly not least – the company’s very first product, the intelligent Mark glove, just officially launched. The pre-series has already been subject to real-life use and testing by clients including BMW and Skoda. By triggering a button with the thumb, Mark is able to scan a barcode and give direct visual, audio and tactile feedback to the person wearing it. 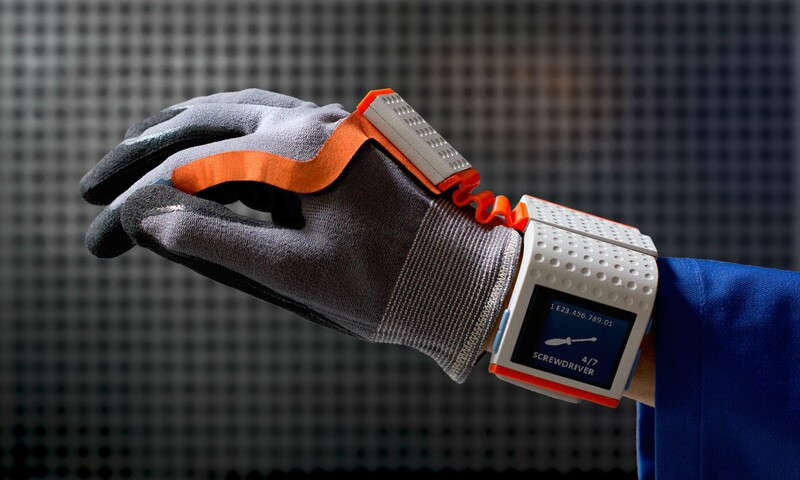 The glove immediately lets the wearer know if they have correctly completed each individual step. Having to look at a monitor becomes obsolete, as does the need for an external scanning device. 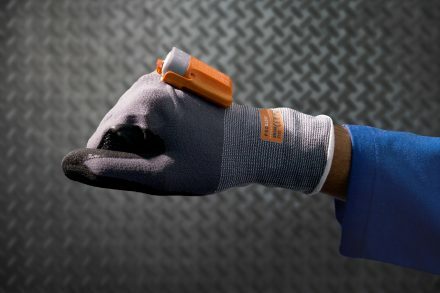 The ProGlove system comprises a central computer unit and a work glove with integrated electronics. Integrating it into existing systems is not very difficult, according to ProGlove. But let’s start at the beginning. How did the ProGlove founders – Thomas Kirchner, Paul Günther, Jonas Girardet and Alexander Grots – even come up with the idea of developing wearables for industrial use? 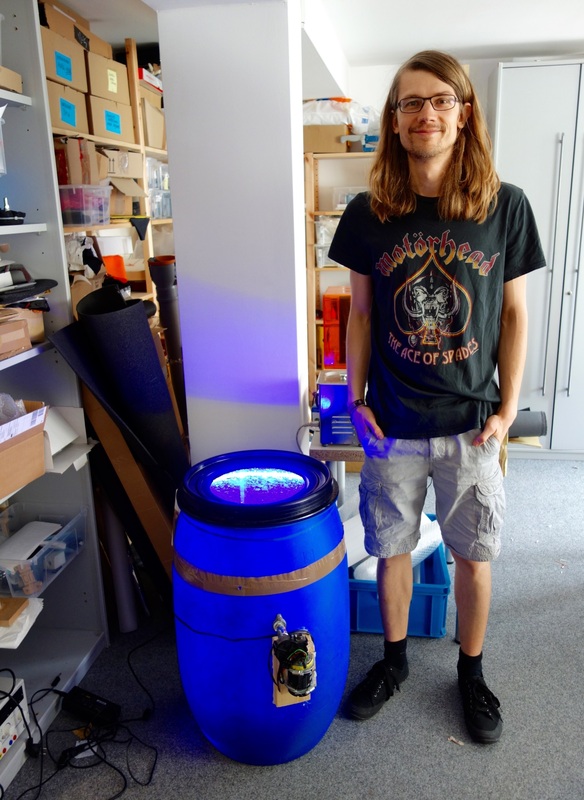 And so the idea was born and the first prototype was developed as part of the Intel Challenge. Sure enough, the team took third place on the winner’s podium along with 150,000 dollars. The positive response from the press and industry that followed prompted the quartet to follow up on the idea. ProGlove came to be. 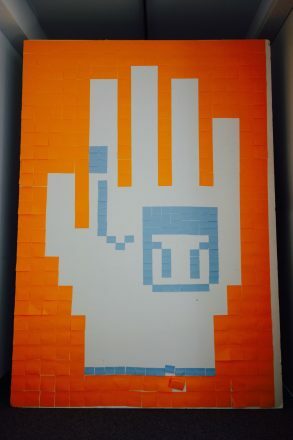 That made it the first intelligent glove, albeit in a somewhat simplified version. During the first few months and while testing over 70 prototypes, they noticed that some of the initial features were not actually necessary. As a result, the first product, Mark, primarily focuses on speed as a factor in manufacturing and logistics processes. How it works: Using the barcode scanner that is attached to the ProGlove, a worker is able to directly scan each individual component that is to be installed. This eliminates having to pick up a scanner – which in turn saves approx. 3 seconds in each scanning step. If you assume that about 1,000 scanning steps are carried out for each car, you can just imagine how great the potential is for saving time – and subsequently money. Mark has even more benefits to offer. Here the keyword is quality, since the glove can verify that the proper components have been installed. It also documents where each component is installed, which leads to the third keyword: documentation. The person wearing the glove also benefits from the intelligent piece of workwear. Hands-free work makes work processes more ergonomic. Many other areas of application are imaginable for the future, for instance in the care sector. Their grand vision: Every glove that is used professionally should become intelligent! Investors look at things differently in the US. The readiness to take a financial risk is much higher in America. Faith in German engineering is also still strong abroad despite several scandals, so ProGlove was able to land a deal with two American investors, namely with Intel Capital and GettyLab. The third party in the investor round is Bayern Kapital. In total, the Munich startup was able to bring in 2.2 million US dollars in the first financing round. The four also decided to stay in Munich. It came down to the manufacturing conditions being significantly better than in the States. With Mark on the market, what is ProGlove planning to do next? Product number two is the intelligent glove Katharina, which will also include an integrated display. Making it on the American and Asian markets is also on the agenda. That will make additional licenses necessary, since Mark is currently only approved for the European market. The next financing round is set to take place in mid-2017. Since their valuation will be based on revenue, the goal until then will be to make Mark every worker’s best friend!